If you own or operate a fashion retail business, staying in close communication with your customer base is an integral part of your activities. You probably already use a number of strategies to keep a finger on the pulse of what your customers are looking for. Adaptability is key to success when trying to keep your customers’ attention in the fashion realm, and a pop-up shop in NYC is a valuable addition to your plans. Set up a temporary location in one of the most exciting cities in the world, for a time period that suits your needs. Whether you decide that your New York pop up boutique will be open for a day, a month or a year, you can make an impact on your customer base. 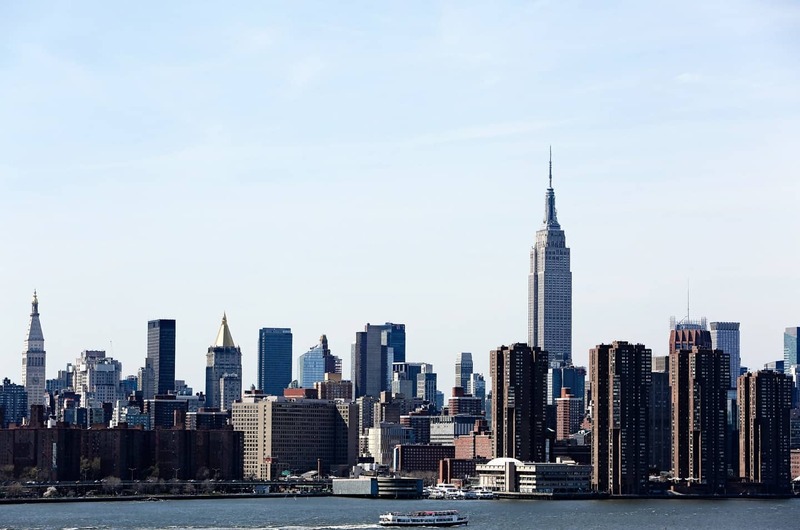 Choose the New York neighborhood where you feel you will connect with customers you will would be the best fit for your product line. Since you aren’t making a long-term commitment to a commercial lease, you can consider whether your line is best suited to being offered in the Lower East Side, with its trendy stores and active nightlife, Nolita, with its selection of boutiques and galleries, the creative and still-rockin’ East Village or Midtown, home to high fashion retailers. The short-term rental offered by pop up spaces in NYC gives you the opportunity to experiment a little with marketing and promotion. You can promote your line in neighborhoods you may have considered if you were required to enter into a long-term agreement with a landlord. Can you think of a better way to launch a new addition to your product line than opening a pop-up shop in New-York? You’ll start to create a buzz as soon as your signage goes up. People who see the signs will be wondering about your shop, which will bring with it a certain curiosity factor. In choosing the neighborhood for your New York pop up store wisely, you will be helping to ensure that there will be plenty of foot traffic from the public to adequately promote your product line. This option also allows you and your team working in the retail location to formally (through use of surveys) or informally (by asking customers randomly) what they think of the new additions to your line. You can get immediate, honest feedback from the people you are serving: your customers. This type of market research is invaluable when you’re trying to evaluate whether a particular item or line should become a permanent part of your product offerings. The item may look terrific, be well made and be offered at a terrific price point, but if your customers won’t take out their wallets to buy it, then it’s not right for your business. Even though many consumers are quite tech-savvy and comfortable with shopping online, it doesn’t mean they are fully comfortable purchasing all products over the Internet. If you want to appeal to your customer base in all the ways they might like to shop, consider opening a pop-up shop as well as operating your online store. Some buyers feel more confident about buying from a company that has a brick and mortar location somewhere, even if they never end up setting foot on the premises. The fact that you have taken the time to set up a shop is an indication that you are operating a quality business. On a subconscious level, there are still consumers who equate operating an online business with being somehow less legitimate than setting up an actual shop. This is absolutely without merit, of course, but it’s difficult to change old ways of thinking at once. Don’t hesitate to mention to your target market that you have a pop-up store in place where customers can view certain products or your entire line, as the case may be. When making plans to market your online fashion/retail business, your best bet is to use a variety of techniques to attract interested buyers to your product line. You will gain a certain amount of traffic to the website, but it would be oversimplifying matters if you decided to rely solely on your online marketing efforts to promote your products. By choosing to open a pop-up shop in NYC, your customers can see, touch and examine the quality of your wares personally. They can interact with your team members directly with any questions or concerns they may have. A New York pop up shop, with its personal touch, still appeals to a number of consumers, who want to be able to see exactly what they are buying before they make a decision to reach for their wallet. By choosing the pop-up shop option, you are giving your customers what they want, but on terms that make good business sense for you.